Seven Midway veterans poses with a former Under Secretary of the Navy. 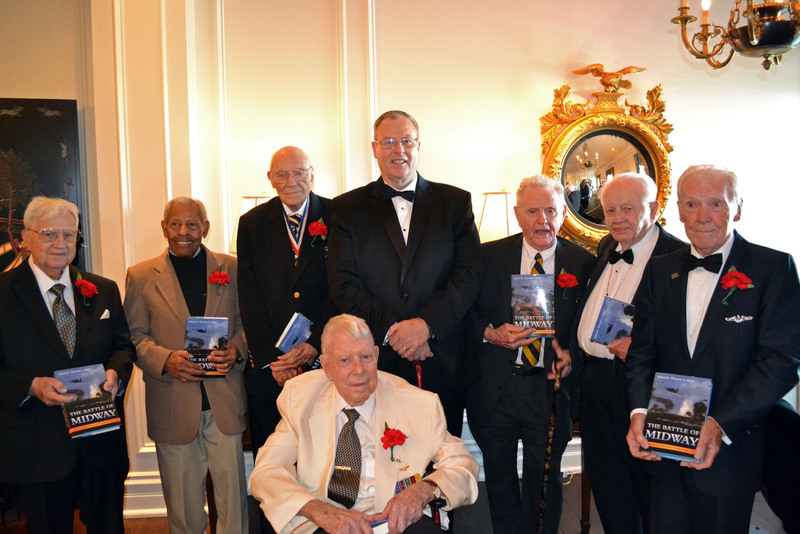 (L to R): Lieutenant Commander Joseph Miller, Chief Steward Andrew Mills, Lieutenant Commander Bill Roy, The Honorable Robert Work, Captain Jack Crawford, Chief Howard Snell, Chief Gunner’s Mate Henry Kudzik. Seated: Major Albert Grasselli. The veterans and Work were presented with a NHF-member Dr. Tom Hone’s “The Battle of Midway: The Naval Institute Guide to the U.S. Navy’s Greatest Victory,” books provided courtesy Naval Institute Press. 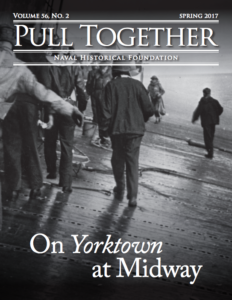 For the past 11 years, the Naval Historical Foundation has co-sponsored this event, along with the Naval Order of the United States, Association of United States Navy, The United States Navy Memorial Foundation, Navy League of the United States, Surface Navy Association, Association of Naval Aviation, and the Tailhook Association. This year the Marine Corps Aviation Association joined as a co-sponsor – appropriate given the role Marines played in the atoll’s defense. The purpose of the dinner is to celebrate one of the greatest victories in naval history, the 1942 defeat of the unbeaten Japanese invasion force steaming towards a landing on Midway Island. Four Japanese aircraft carriers were sunk, and the Japanese Navy never recovered from this stunning blow. Over 230 guests assembled to celebrate the anniversary of this pivotal naval victory, including active duty officer and enlisted Sailors, and many retired veterans of the Cold War and more recent conflicts. A particular guest of honor was Commander Everett Alvarez, Jr. who during the Vietnam War, endured one of the longest periods as a prisoner of war in American history, having spent over eight years in captivity in North Vietnam. 2013 marks the 40th anniversary of the return with honor of Commander Alvarez and 661 other POWS. Chief Howard Snell, aircraft carrier Enterprise. 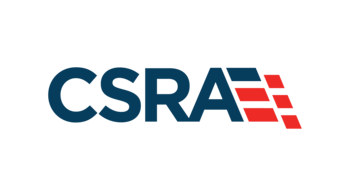 Director, Navy Staff, Vice Admiral Richard W. Hunt introduced the keynote speaker, former Under Secretary of the Navy Robert O. Work, who spoke about “Winning the First Battle After a Period of Prolonged Peace”—describing how the US Navy and Marine Corps’ war gaming and fleet exercises of the interwar years prepared them to recover from the initial setbacks of World War II to achieve victory at Midway.